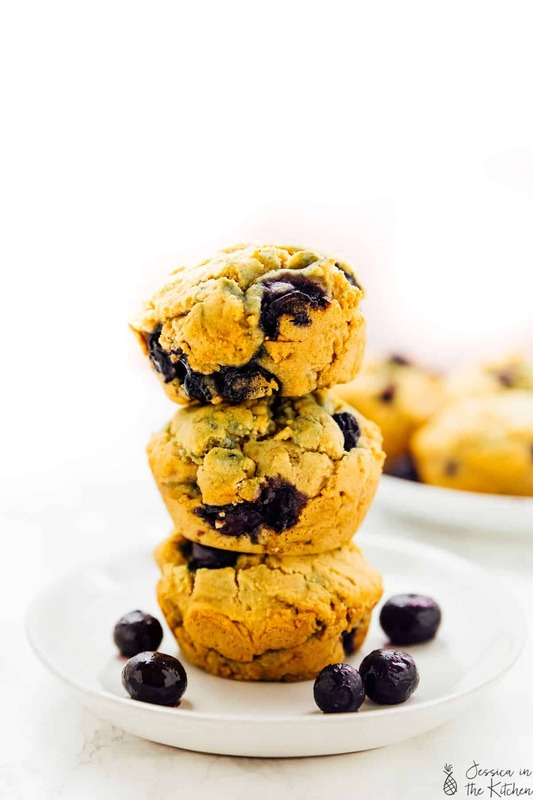 These Vegan Blueberry Muffins are fluffy, bursting with blueberry flavour and are gluten free! They’re made with cassava flour – read on for more tips on how to perfectly use this flour! Welcome to my first new recipe of 2019 – these Fluffy Vegan Blueberry Muffins! If you guys have been following along then you know that a lot has changed for me since 2019. We’ve MOVED, I’m dedicating this year to “finding myself (see OOTK post), I cut A LOT of my hair off, and I have some really exciting plans coming up! With so much going on, one thing hasn’t changed – my mission to always bring the very best recipes to you. As you guys know, both Gavin and I are vegan, and we keep a mainly gluten free house. 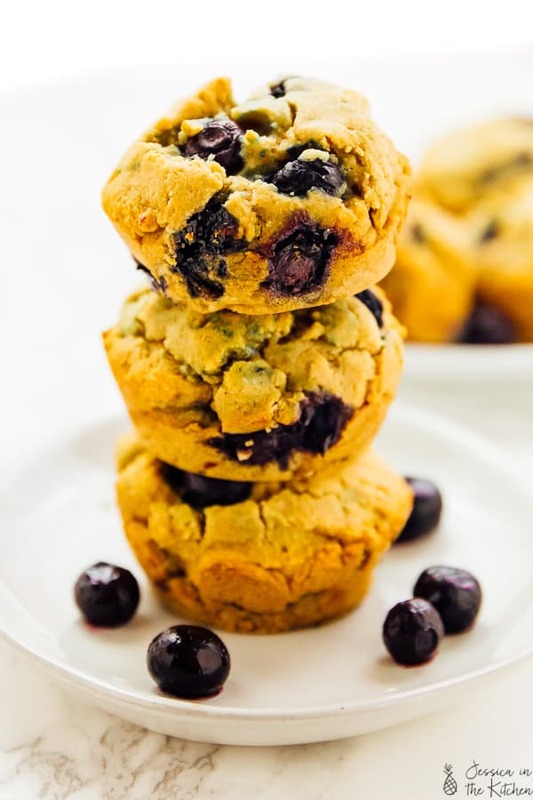 I know that you guys have been asking for more breakfast items/healthy desserts, and the first thing that came to my mind was a staple – Blueberry Muffins. Growing up, Blueberry Muffins were my favourite muffins. Of course then they weren’t gluten free or vegan, and certainly not paleo. 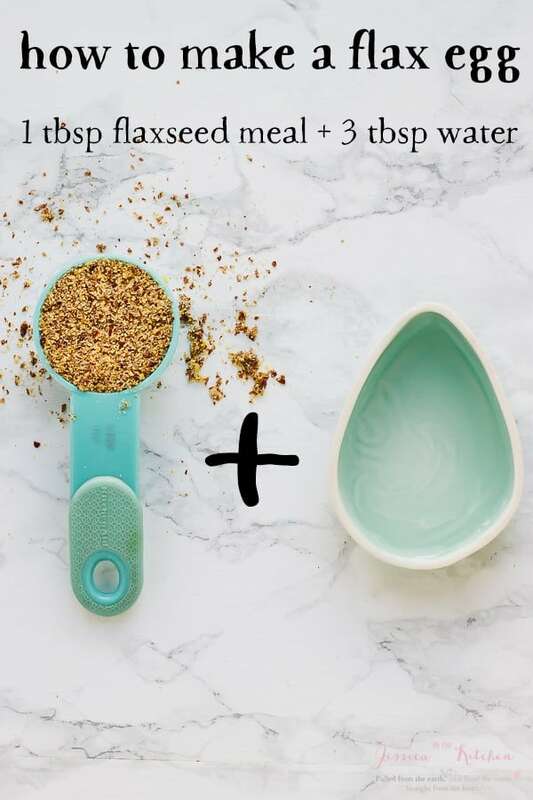 I wanted to create a new version, and I believe a better version – that’ll not only delight your tastebuds but also suit your dietary needs without any weird tastes or side effects. I’m happy to say that these Blueberry Muffins hit it OUT of the park. Although I have so many gluten free flours in the house (literally all by Bob’s Red Mill), I haven’t experimented that much with lot of them. That all changed when I got to try out cassava flour. Fun fact: I grew up with cassava, so when the cassava flour wave started, I was probably more shocked than other people at its capabilities as a flour. I’ve only known cassava to be used one way – boiled. Needless to say I’ve been interested, and in the interest of 2019 experimentation + you guys asked for cassava recipes, I gave it a go. Friends – cassava flour is MAGICAL. Cassava flour is made from the whole root of the ground provision cassava, which is a starchy tuberous root. 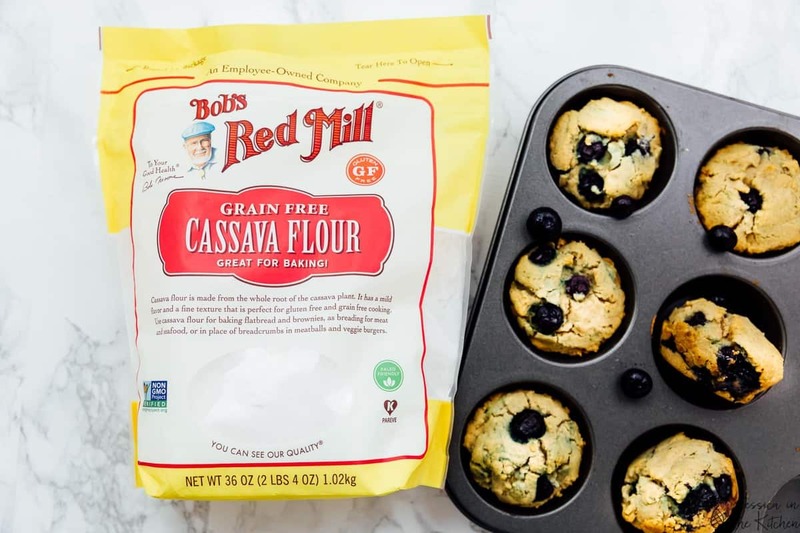 The Cassava Flour that I’ve been using is from Bob’s Red Mill, which as you know is my favourite company for gluten free flours, egg replacers, oats and SO many more vegan and gluten free life staples. I’ve been a Bob’s Red Mill Ambassador for a while and I’m so happy to be continuing into 2019 as an ambassador again! 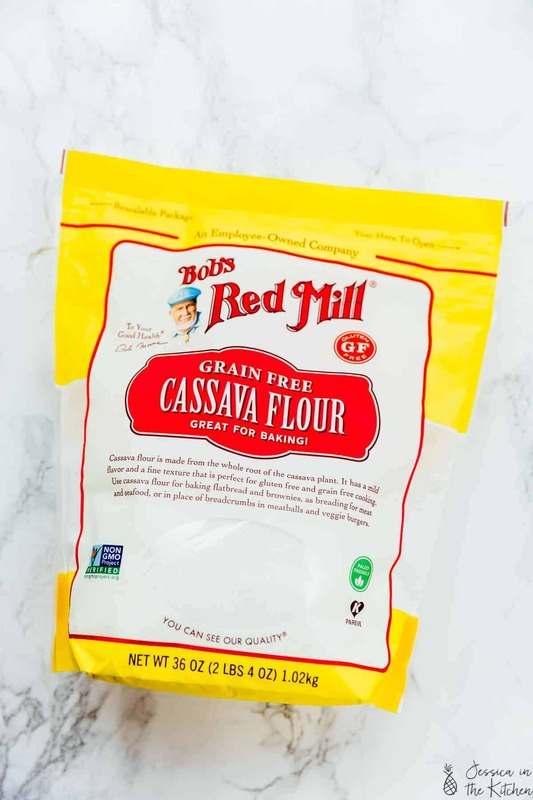 Bob’s Red Mill’s Cassava Flour is so beautifully fine in texture, paleo and whole30 friendly, gluten free, and best of all for me: has a NEUTRAL flavour. Friends – Get your hands on a bag or three of this Bob’s Red Mill Cassava Flour. Be as shocked and happily surprised as I was. Then eat a few muffins. I can’t wait to try it in a few more recipes! Go with a trusted brand. For me, that’s always Bob’s Red Mill. Sure, this blog post is sponsored, but we use Bob’s Red Mill products every single day. Going with a trusted brand means no weird surprises. This flour is very fine, which means it locks up a lot in a mixer. I prefer to fold in it, then turn on the mixer, so there isn’t flour flying everywhere. I recommend doing the 1:1 swapping from other gluten free recipes, but note that you should just start with following cassava flour recipes. For example, cassava flour and tapioca flour would not swap well. But for example, you could probably swap it with most of my recipes that use Bob’s Red Mill Gluten Free 1:1 Baking Flour. If you’re doing it from a non gluten free recipe, just experiment. Cassava flour absorbs liquid a lot, so just keep that in mind (don’t over add essentially). I would start with a recipe you know and love, so you know how to expect the batter to look! Cassava flour does lend itself to a chewier texture, perfect for breads, pizza doughs and of course – muffins! This blog post is brought to you by Bob’s Red Mill. Thanks so much for supporting the brands who support Jessica in the Kitchen! All texts and opinions are my own. Preheat oven to 425°F/220°C. Spray a muffin pan with non-stick flour spray or rub with vegan butter and dust with cassava flour, removing excess. Mix the soy milk and the apple cider vinegar together and set aside to create a vegan buttermilk. In a bowl of a mixer, mix the coconut oil, sugar, vanilla extract, lemon extract together for about 3 minutes. After that add the Bob's Red Mill Egg Replacer and combine for another 30 seconds, scraping down the bowl. While that's mixing, in another small bowl, mix the Bob's Red Mill Cassava Flour, baking powder, baking soda and sea salt. Add the flour mixture to the bowl, alternating with the soy milk until finished, ending with the flour. I did it in sets of three. Toss the blueberries in some cassava flour, then fold into the batter lightly, so as to not streak too much blueberry all over it. Fold until combined. Using a 1/4 cup measuring cup, pour the batter into each of muffin hole; they should be filled about 3/4 way high. Alternatively, you can just fill 10 muffin holes for slightly larger muffins. Fill in the muffin tins with any extra batter, and smoother over. 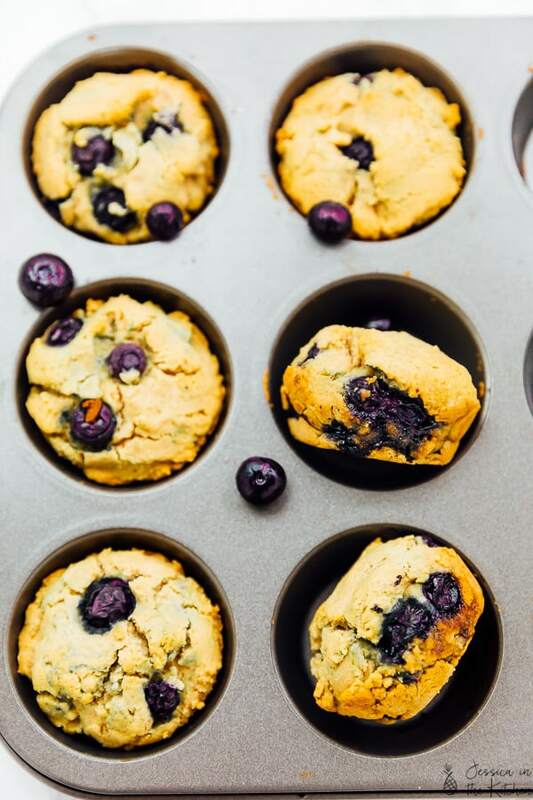 The blueberries are chunky so be sure to smooth it over to ensure the best looking muffins. Bake for 5 minutes, then reduce the temperature to 350 degrees and bake for another 18-20 minutes until a toothpick inserted into a muffin comes out clean. Remove from oven and allow to cool in pan for about 10 minutes. Remove (I just use the same toothpick or a knife) and place on a wire rack to cool completely. I generally prefer fresh fruit since it’s easier to control, temperature wise. If you can get fresh blueberries, I recommend it! Those look awesome and i would like to try working with that flour. But that is a lot of sugar for a muffin! sounds way to sweet to me especially w/ the sweetness of the blueberries. is that because of the flour? Would i be able to cut it down to 1/4 of a cup which is what i typically would use in a sweet fruit muffin? Hey Jacquie! We’re happy you like it! 1 cup of sugar split between 12 muffins comes up to a little more than a tablespoon per muffin, but if you want to you can definitely cut the sugar but I can definitely recommend a 1/4 cup instead if you would like! You should also taste your blueberries first ours were a little tart you might want a little sweetness to balance it out. I hope this helps. Hi Jessica! 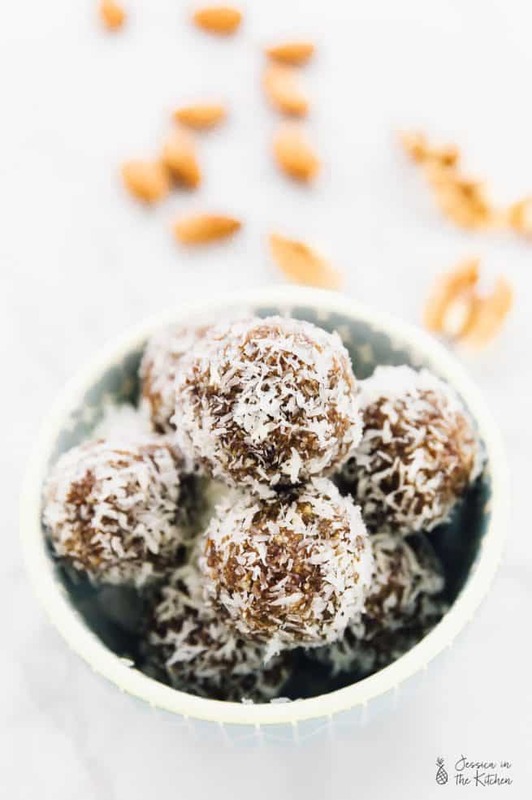 These are delicious looking and I can’t wait to try the recipe (thank you for sharing, BTW). I have a question for you. This is new to BRM from what I’ve read and I hope I can find it on our stores soon! I’ve used the other two leading brands of cassava and find I have to sift, sometimes two or more times to get the grit out. Do you find this has a gritty finish? Thank you so much and I hope you really enjoy these! Happy to say that these have like 0% grit! The flour is so fine that it’s almost as if it’s fluffy – you definitely won’t need sift this at all, nor does it have a gritty finish! Hope that helps so much! Thank yo so much, that really is very helpful to know! I’m going to use up what I have and then I’ll definitely be ordering some through your link. We don’t seem to carry it anywhere locally yet. Thanks again! My name is Anuj Agarwal. I’m the Founder of Feedspot. 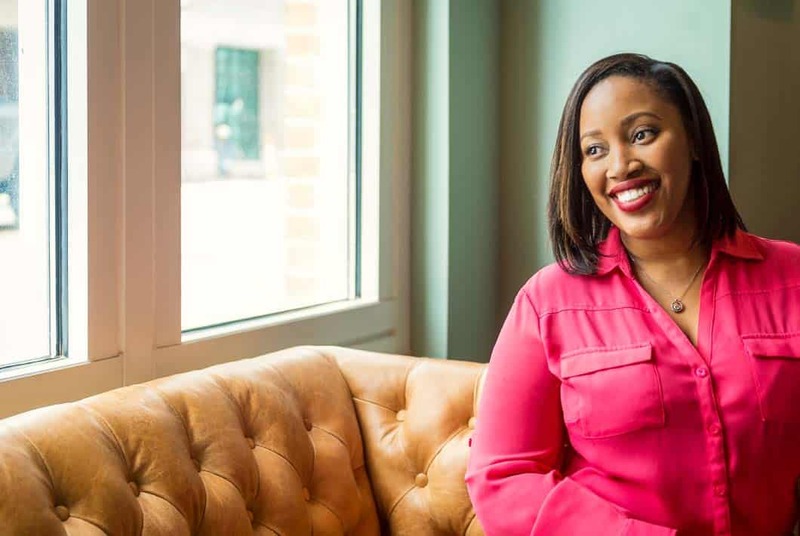 I would like to personally congratulate you as your blog Jessica In The Kitchen has been selected by our panelist as one of the Top 30 Black Food Bloggers on the web. I personally give you a high-five and want to thank you for your contribution to this world. This is the most comprehensive list of Top 30 Black Food Bloggers on the internet and I’m honored to have you as part of this! We’d be grateful if you can help us spread the word by briefly mentioning about the Top 30 Black Food Bloggers list in any of your upcoming post. Hi Jennifer. Thank you so much for reading! I want to ask you a few questions to help. Did you weigh the flour and the almond milk? No worries we might be able to get away with not weighing the almond milk but the cassava flour may need to be weighed.